What’s included in your hire? Lazy Days campervans all have uniquely styled interiors giving them bags of character so camping features may vary slightly from camper to camper. 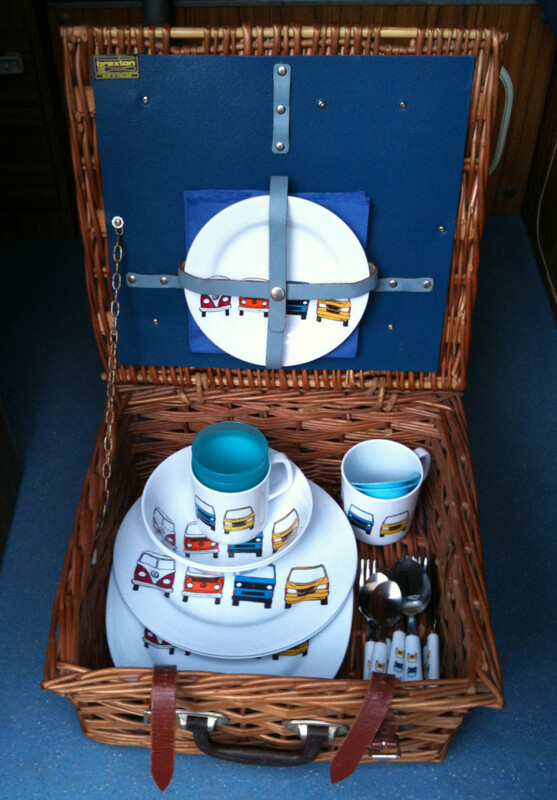 Please see the Our Campers pages for details of the interior configuration of each camper. Fully Comprehensive Insurance for one driver aged 25-70. Cooking Utensils: Kettle, Pots, Frying Pans, Crockery, Cutlery, etc. Efficient 12v Fridge / (12v Cool Box in Green only). Sink with pumped cold water. Blankets & throws in the colder months. We are seasoned campers and stockpilers of all things camping, so if there is something else that you would like us to add to your rental please just ask. If we don’t have it we are happy to try and source it for you! Additional driver insurance from €10/day. Double Bedding: Under-sheet, double duvet & 2 pillows €20. Single Bedding: Under-sheet, single duvet & pillow €10. Towel Set (1 x Bath, 1 x Hand, 1 x Face) €10. WiFi Hotspot / 7.5 GB Data €30. €30: Rear Facing Baby Seat (< 9 mths). €30: Forward Facing Car Seat (9 mths – 4 yrs). €20: Booster Seat (4 yrs – 6 yrs). €10: Booster Cushion (6 yrs – 11 yrs). Children’s Push-Chair / Stroller €40. Bicycle Rack €40 N.B. : Cannot be fitted to Jaws or Flint. * None of our campers have ISO-fix. A €20 cleaning fee is added automatically to every booking and help cover the extra expenses incurred getting vehicles ready for our guests.